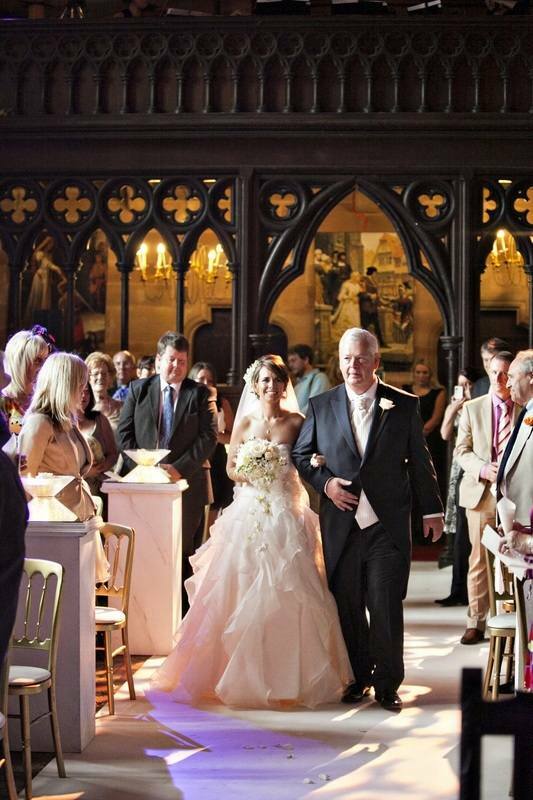 Up on the blog today, we have another one of our Real brides. 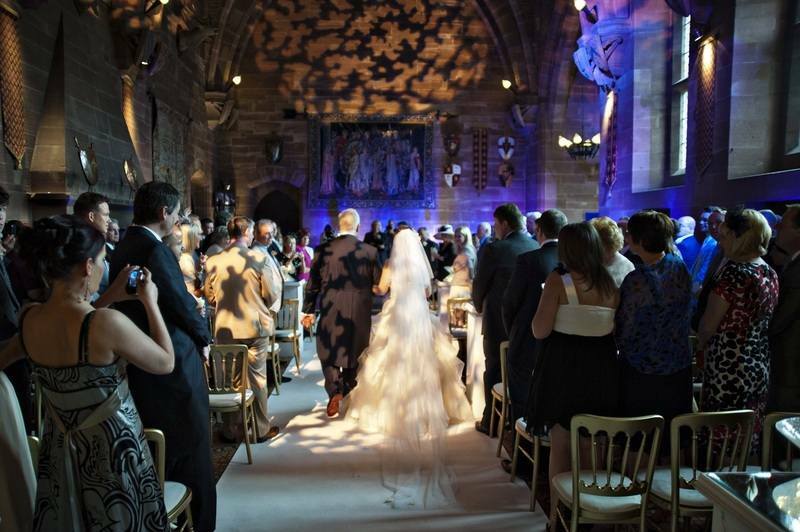 Angela married this summer at the stunning Peckforton Castle http://www.peckfortoncastle.co.uk/ . 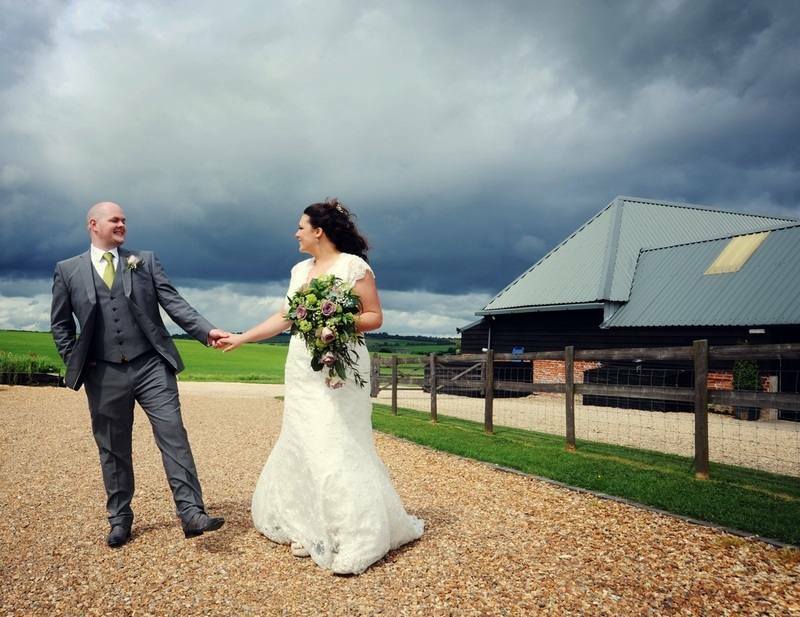 Her photographer was the brilliant Lisa Aldersley http://www.la-photography.co.uk/ who kindly supplied us with some of the pictures from the day. Angela asked us to create a bespoke dress for her together with dresses for her three bridesmaids and two little flowergirls. After an intial consultaton and a 'sketching' session Erica put together some designs for Angela to consider. Eventually, Angela decided on an ivory strapless gown with a full princess princess style skirt. We created a beautiful dress in ivory Silk Organza. The strapless bodice had a 'sweetheart' neckline and pleated silk organza overlay. The full skirt was finished with lots of fabulous silk ruffles and an oversized silk corsage. A crystal and pearl trim on the waist finished the dress perfectly. 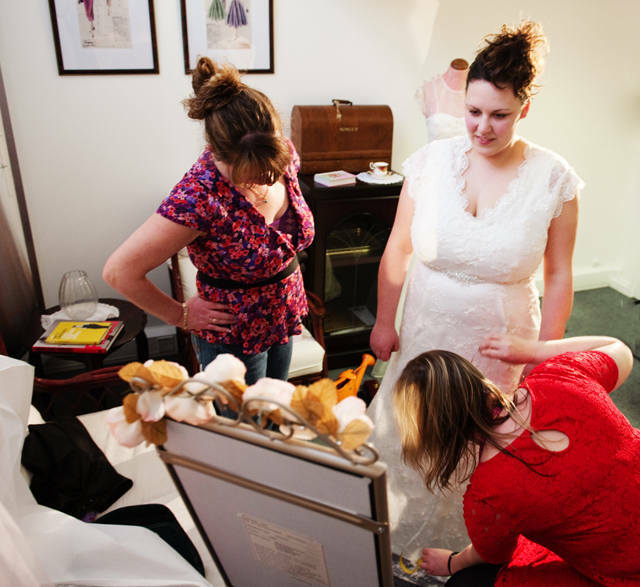 For her bridesmaids and flower girls, Angela chose an ivory Duchess Satin fabric and we made lovely tea length dresses. These were finished with a soft cowl neckline, a windsor navy sash around the waist and matching net underskirts. Angela and her bridesmaids were delighted with their dresses and Angela commented on how 'stress free' the whole process had been. 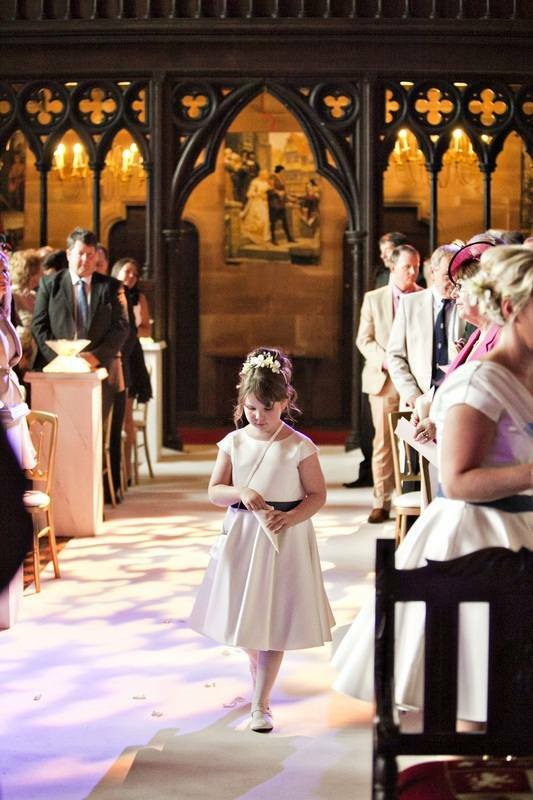 Here at Erica Stacey we were delighted to have played a part in Angela's big day, we enjoyed working with her and loved having her little flower girls twirling around the studio during fitting appointments. 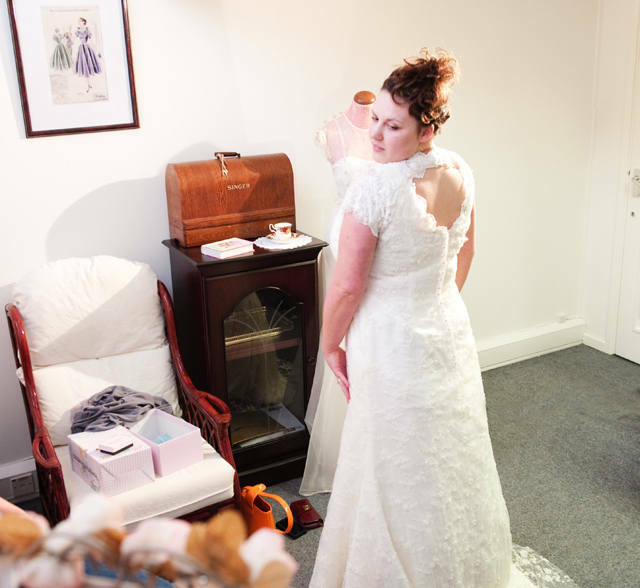 Making sure our brides feel fabulous and confident in their dress is extremely important to us here at Erica Stacey Bridalwear. 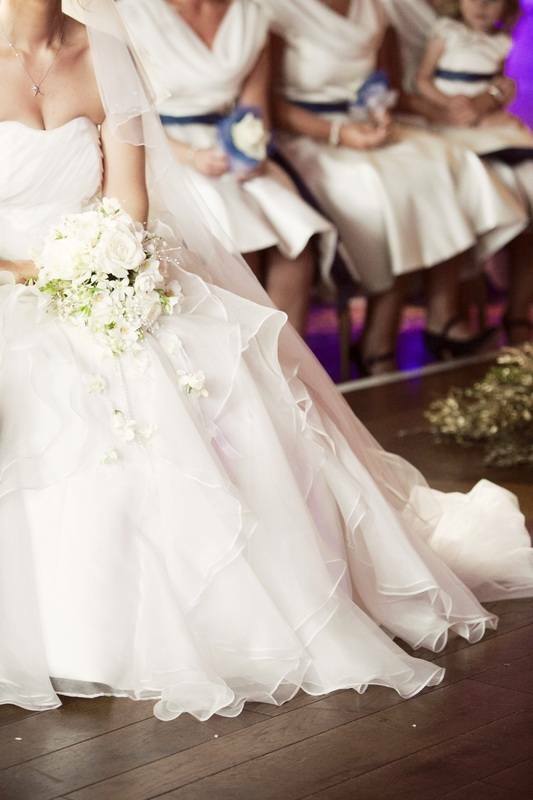 We create dresses which flatter real women and we know each bride is unique. 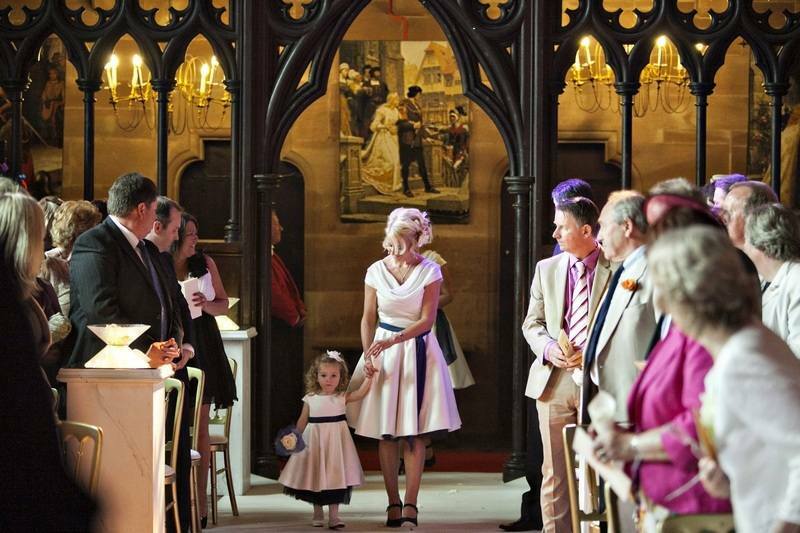 Earlier this year we were approached by Nichola who asked us to create a bespoke dress for her. She had seen a dress she really liked but was unable to get the fit just right by buying from the High Street due to the fact that she has a large bust. We discussed ideas with her and put together some sketches and suggestions for her to consider. 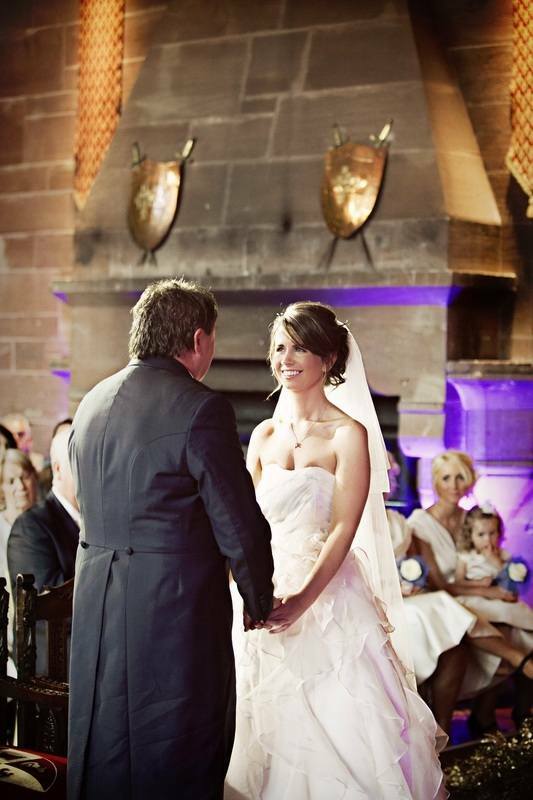 We worked closely with her to ensure Nichola could wear her choice of bra underneath the dress to ensure support, yet at the same time creating a pretty, delicate and feminine dress. 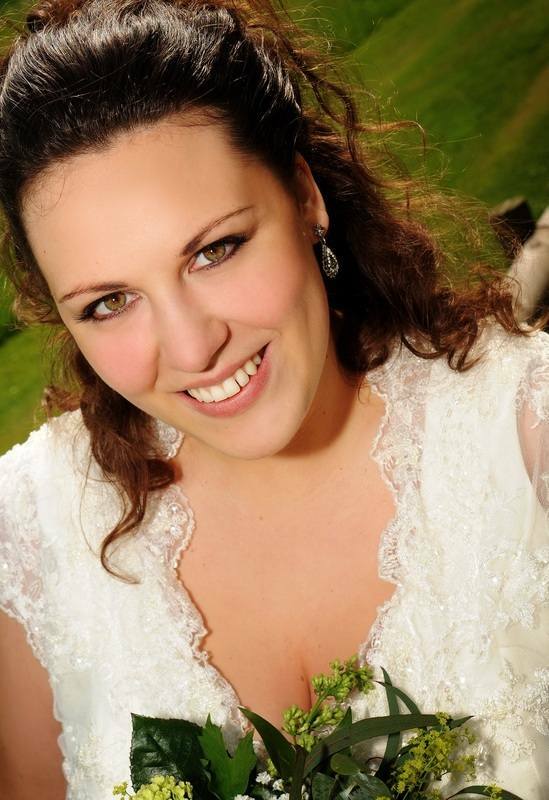 Nichola looked truly stunning on her wedding day and she felt confident, comfortable and beautiful.